LONDON, United Kingdom (November 6, 2013) – A new boutique, luxury hotel on Barbados’ vibrant south coast is finding its niche and enjoying success in an area typically known for its mid-market properties. Caribbean hotelier Ralph Taylor is reporting positive results since The SoCo Hotel opened in June. Taylor, the entrepreneur who helped transform the face of the local visitor industry by introducing the Almond Resorts all-inclusive hotel concept to middle- to upper-end tourists in Barbados, is turning his energies and attention to delivering what he terms “targeted excellence” in the high-end boutique landscape. “At SoCo we offer truly personalized service with exceptional food and high quality service delivered by a caring staff committed to helping our guests relax and de-stress,” he said. Although SoCo offers an elegant boutique environment, it features a key hallmark of Taylor’s success. Unlike many similar properties, SoCo is an all-inclusive hotel. In his experience, Taylor has found that guests seem to relax more when they don’t have to be concerned with the incremental costs typically associated with hotel stays, such as meals and other services. In fact, SoCo offers an all-inclusive à la carte menu incorporating fresh indigenous ingredients grown in Barbados. In the mid-90s, Almond Resorts became one of the first Caribbean hotel companies to trade publicly with a strong focus on staff development. 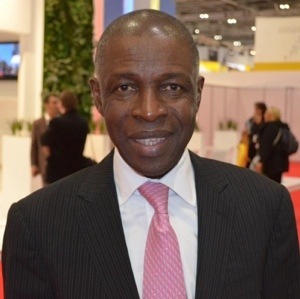 Taylor is the former Chairman of the Barbados Tourism Authority, ex-President and former Chairman of the Caribbean Hotel and Tourism Association, and former Chairman of the Advisory Council of the Minister of Tourism. The SoCo Hotel, located in the heart of Barbados’ vibrant south coast, offers an all-inclusive holiday in a boutique environment. Ideal for the discerning traveler who desires the best of both worlds, SoCo offers chic hotel facilities at an exceptional value. Delicious food and drinks; friendly Caribbean service; an open, uncluttered design; and one of the best views in Barbados are all part of The SoCo Hotel experience. SoCo’s 24 ultra-modern rooms have been artfully outfitted with a blend of South Beach style and Caribbean flair. For further information, visit http://www.thesocohotel.com.